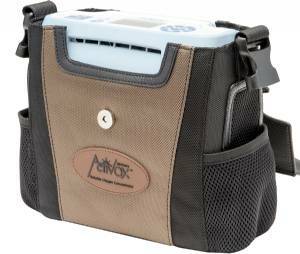 Activox 4L Portable Oxygen Concentrator Discounts Apply ! Activox 4L Portable Oxygen Concentrator offers the longest lasting internal battery of any portable oxygen concentrator providing up to 4 LPMeq. The 4L model is a great option if you have higher oxygen requirements and don’t want to compromise on battery life, weight or ease of use.